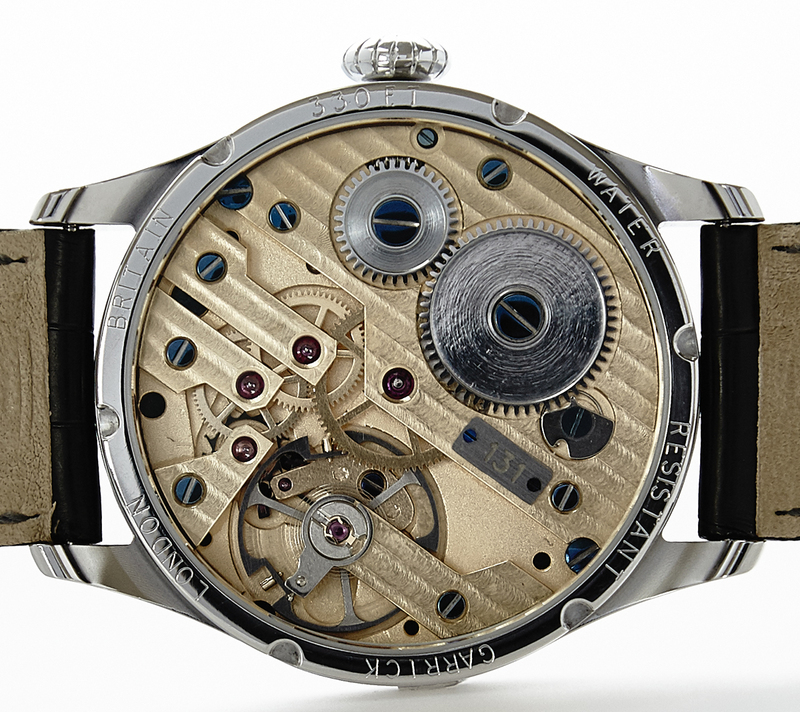 Recent years have seen a notable renaissance in the watchmaking industry in England, and the birth of several new companies offering their own unique designs and collections. 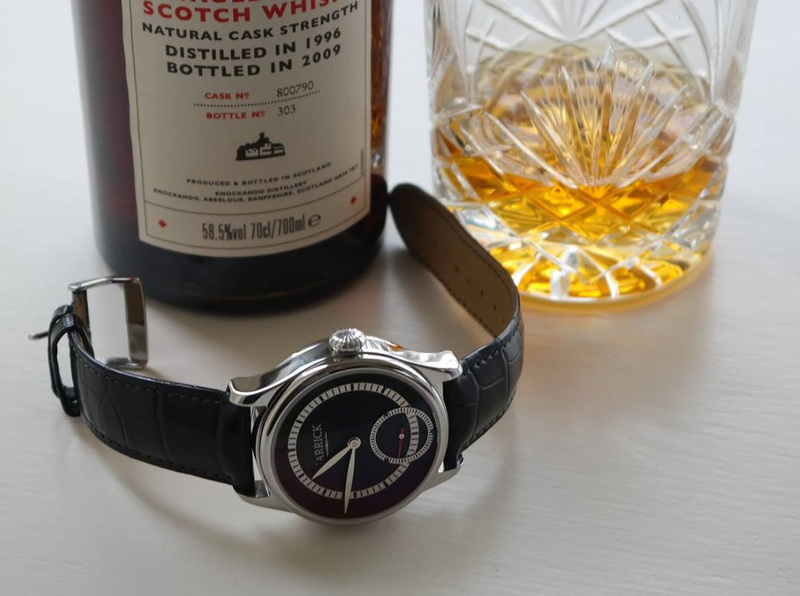 The very latest to come to market is Garrick of London, and their approach leans very much towards the classic rather than contemporary field of watchmaking. 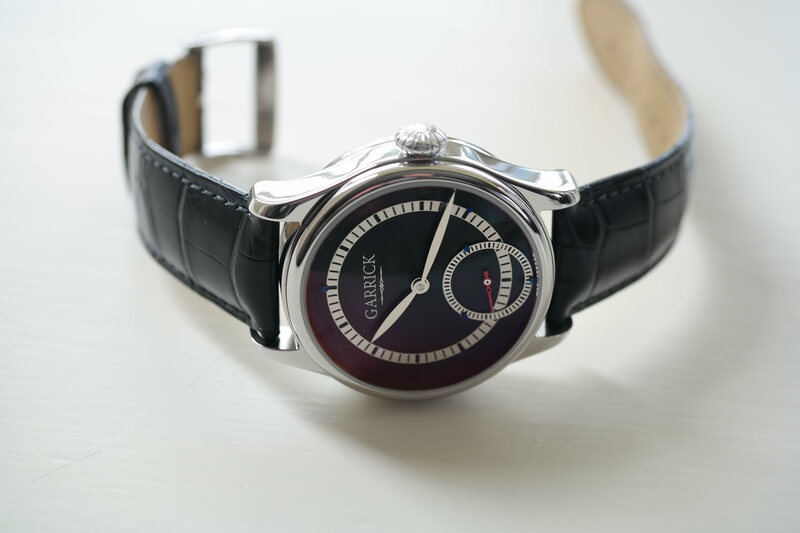 Heralding the company’s arrival is their gorgeous brand new timepiece the Garrick Shaftesbury SM301. The Garrick Shaftesbury SM301 is an impressive debut indeed. 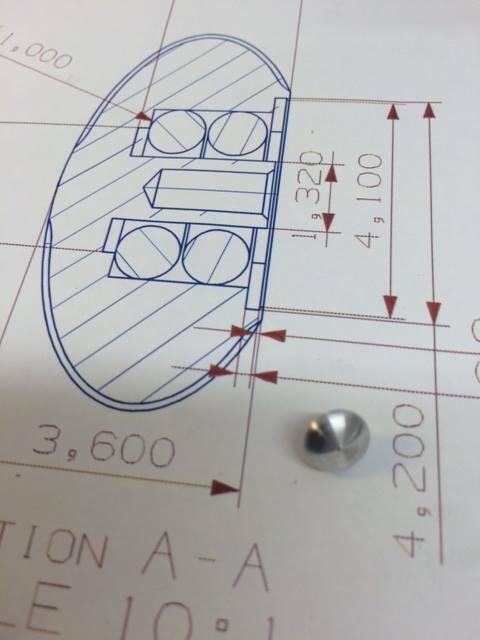 Immediately it is apparent that it has been designed and manufactured with the discerning watch collector in mind; everywhere little details combine to create a beautifully finished timepiece with its sights firmly fixed on the luxury sector. 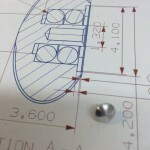 As we will learn in the next few minutes, at Garrick of London no effort has been spared in the pursuit of perfection. 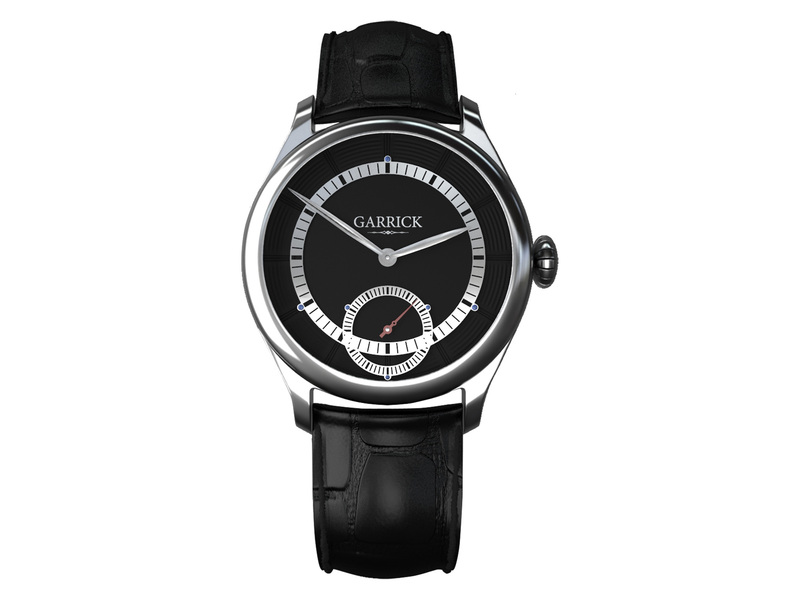 This first Garrick Shaftesbury is presented in an elegant round polished stainless steel case measuring 42mm across. 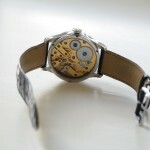 Viewed side-on, its flank is tall and straight, curving only at the height of the bezel. 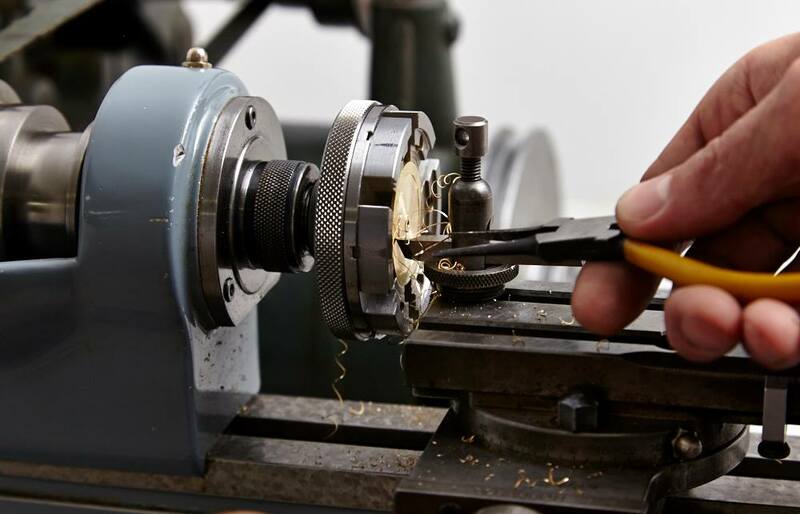 The crown has a compressed segmented ‘onion’ profile, and as well as being a delightful detail, its shape and size makes for ease of use for winding or setting the time. 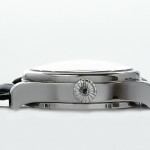 Beneath a sapphire crystal, the dial options include a classical fired enamel base, available in either white or black and pure save for the Garrick name. Fixed proud upon the dial two brushed steel chapter rings – large for the principal hours and minute references, smaller for the seconds at the 6 o’clock – have been attached by short steel pillars secured in place by oxidised blued steel screws. 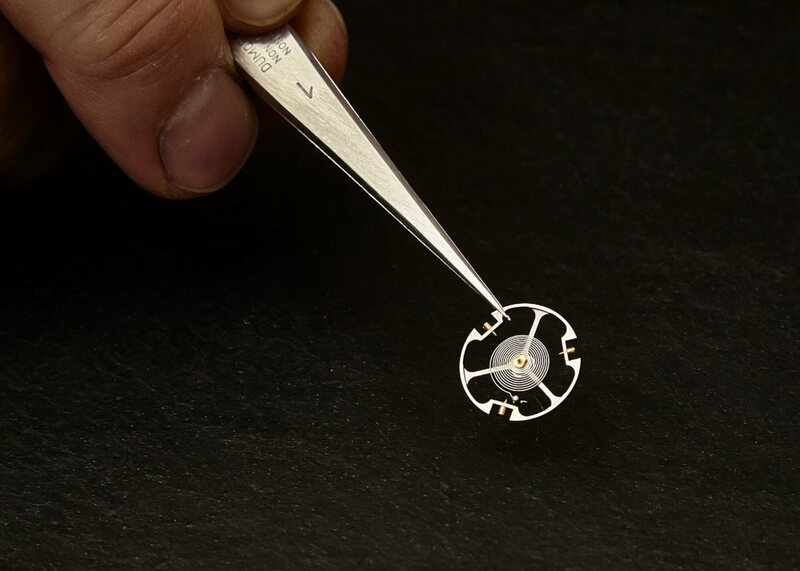 The minutes and seconds indices have been painstakingly milled right through the steel of the chapter rings, giving a captivating 3-dimensional depth to the face of the watch. 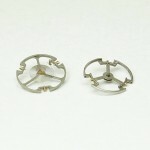 The Shaftesbury’s elegant leaf shaped steel hands are brushed and can be blued if desired. 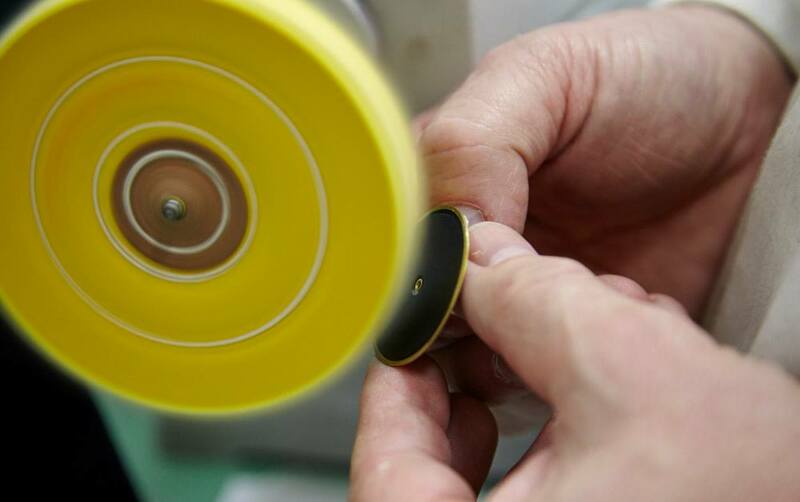 An in-house feature, each dial is machined and finished by hand from a brass plate before being engraved for effect with a series of gentle ripple-like grooves around the dial rim, then undergoing the hand enamelling and firing process. 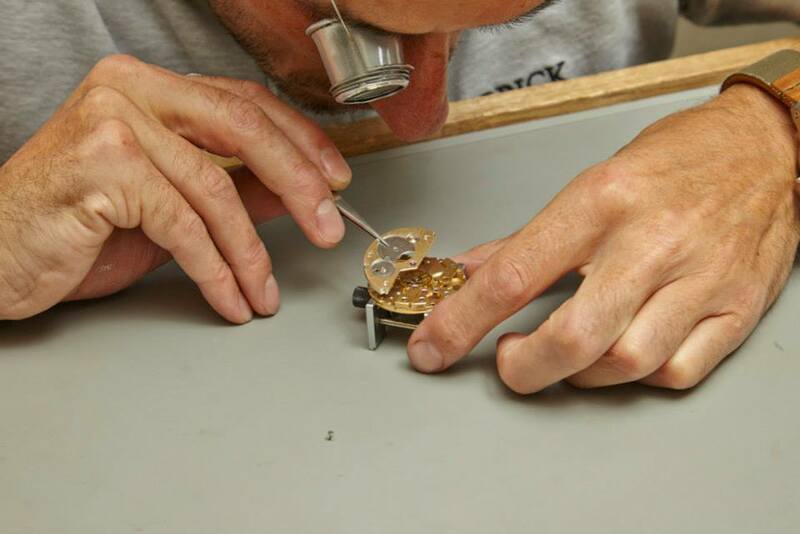 As an alternative to the luxuriant presence of an enamel dial, Garrick also offers the option of ‘simple’ paint on the brass, or even an aluminium dial, which can be anodised in a variety of colours, revealing something of a playful side to the Company. 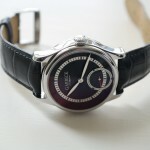 This range of options also displays a canny resourcefulness from the young company too, as Garrick can entertain offers from individuals or even corporate clients who would like to commission details, including the choice of dial options and colours as well as personalisation in the form of the addition of a logo or name on the dial. It does not harm for a new brand when it has an open and flexible approach so that it can fulfil orders for the unusual as it establishes itself. A sapphire exhibition caseback provides a widescreen vista of the lovingly hand detailed movement within, thanks to the thin rimmed rear bezel which barely encroaches, giving up an unobstructed view beneath an expanse of crystal. Garrick make no secret about the NOS Swiss made Unitas 6498 hand-winding base movement within, but it has been breathed on heavily in London with refined bevel-edged in-house open bridges, blued screws and Côtes de Genève decoration. 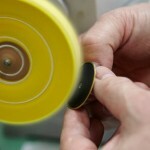 However it is the Shaftesbury’s free sprung balance which underlines the company’s intent to innovate. 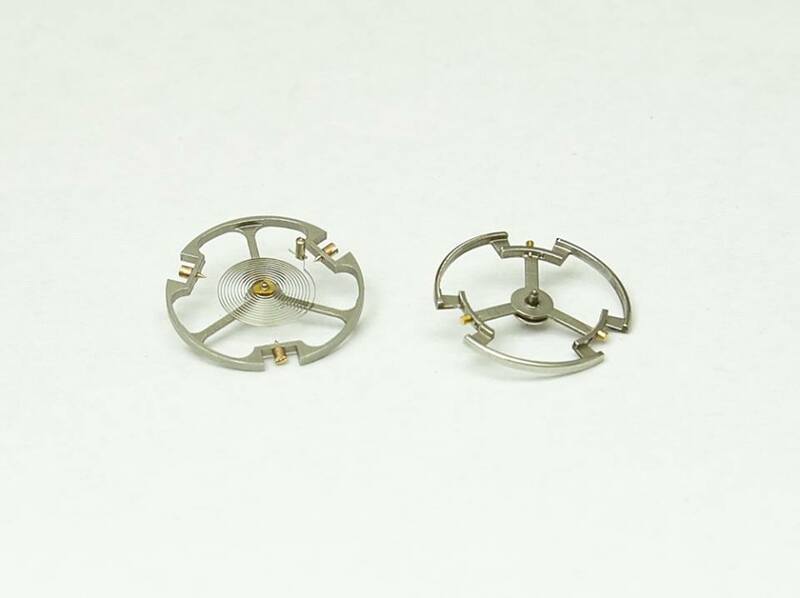 The most intricate and delicate element of the watch movement, it is also one of the most challenging aspects to create for a watchmaker, and with the sensitivity required for the free sprung balance, getting it right was a painstakingly precise process, taking months in its development. 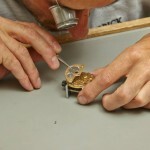 Making use of vintage watchmaker’s tools and techniques in a purpose built sterile, dust-free facility, Garrick have put much focus into creating or finishing as many of the components as possible by hand, in-house. 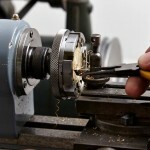 For what cannot be done in their workshop, such as the cases, owner David Brailsford has sourced from local specialists. 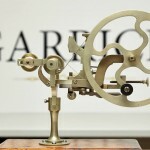 What Garrick represents is the realisation of a dream by its founder and owner David Brailsford. A steely determination and unflinching ‘can do’ attitude has seen the Englishman achieve success in his numerous business concerns, and with a consuming penchant for a watchmaking heritage in long-ago London which, it is worth remembering, in the 17th and 18th Centuries was the inventive hub of horology, and as important to its foundations as anywhere else in the world, his Garrick watch company sets out to embody the mantle of its forebears. 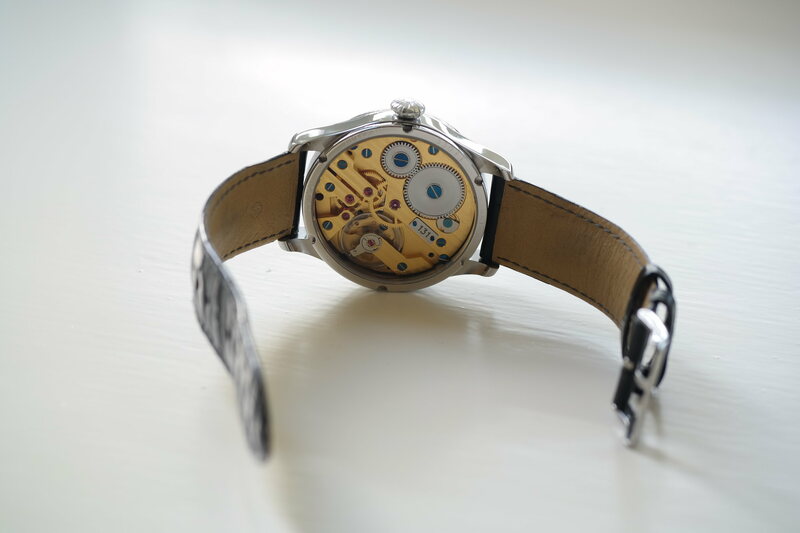 Mention English watchmaking in modern times and apart from the legendary horologic tour de force who was the late great George Daniels, only a very few names spring to mind, but think Arnold, Mudge, Harrisson, Graham and Tompion and this legacy of English watchmaking becomes more clear. 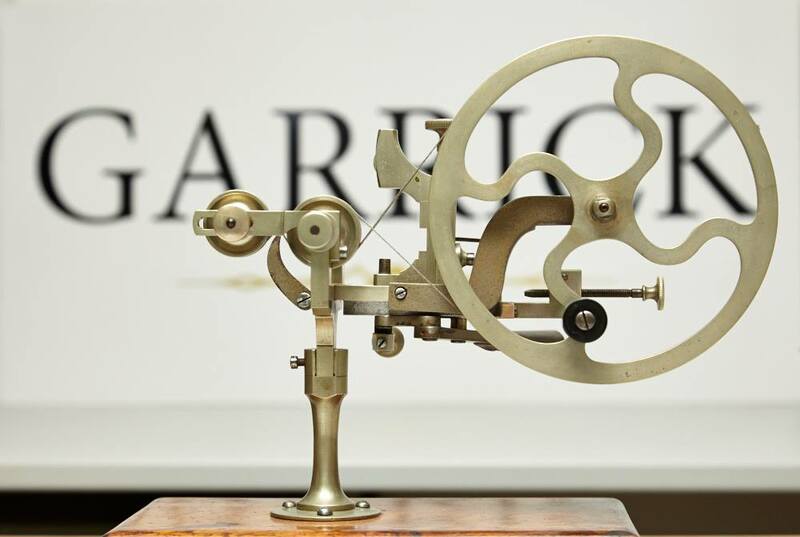 With influences such as these great historic figures to draw from, and a philosophy which stems from a passion for traditional watchmaking, Garrick are comfortable in their own skin, their approach one of dedication, precision and a lot of patience. 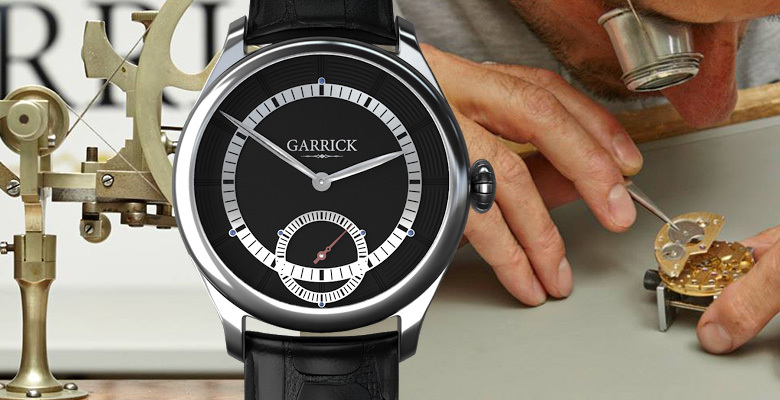 One might imagine that the intensive hands-on processes which goes into the production of Garrick’s Shaftesbury watch would doubtless warrant a hefty price tag, but surprisingly this is not the case, as another tenet of the brand’s strategy aims to keep pricing for this first edition to just £3,995 (c.€5,000). 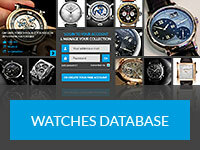 It is a lot of watch for the outlay and represents excellent value to the collector. 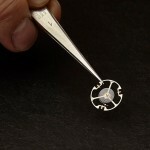 It has taken time for the new watch company to get to this point, but the Garrick Shaftesbury shows that they’ve arrived in quite some style. For further information this link will take you over to the Garrick website.